I had just over a tablespoon left of honey and it was painfully slow moving to the point I just wanted to throw it away!! But wait!! Honey is a humectant... I can wash with it!! So I brought the end of the honey in its squeeze bottle into the shower, added a but of very hot water and shook it to dissolve/liquify the honey. Then I added equal parts aloe vera gel and gave it a good shake again. I washed the lengths of my hair with it, washed my scalp only with my argan oil castille soap bar "lather", and washed it all out and then did a final conditioning rinse with my 50 /50% apple cider vinegar and water from another squeeze bottle with some essential oil for scent. I added a bit more aloe vera throughout my wet hair and put it up in a T-shirt to dry. An hour later, the T-shirt comes off and it was air dried in about 30 more minutes!!! It used to take all day to dry!!!!!!! Then I spot added aloe Vera gel again on dry hair to spots to enhance curl definition and for extra moisture on the ends. 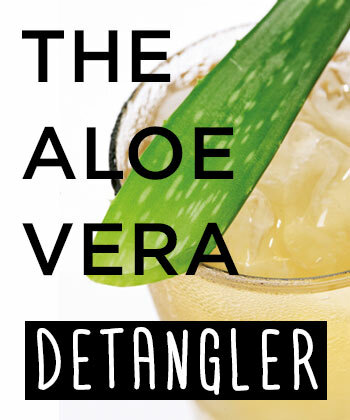 Here's a link to a recipe with aloe Vera for us curly girls. (Not page 2).